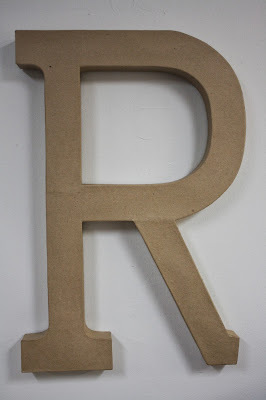 LITTLE STUMPTOWN: Today is brought to you by the letter "R"
Today is brought to you by the letter "R"
So a while back I showed you a project that I had been working on for Ronan's room. Remember this? I think it turned out pretty well. The raspberries are my fav! Anyone going to try something like this for their little one?